This week ITV and Media 10 joined forces to launch Love Island: Live at Excel London in August. It will include a live stage show and offer visitors the chance to pose questions to the islanders, along with meet and greet opportunities – just a few days after the TV show ends. This is just the latest way in which fans can engage with the show. It’s hard to escape the megalith of Love Island, in total it will last a whole two months, and it’s even crept into the tea break conversation in our Chipping Norton office. We might not be able to learn the secret to finding true love from the show, but perhaps it might show us the future of brand sponsorship and influencer marketing. Love Island could make it onto the CIPR syllabus as a textbook communications case study – according to the press pack this new series has a record number of commercial partnerships. It combines what we’d recognise as ‘traditional’ marketing techniques, such as product placement and brand sponsorship with unconventional tactics, such as its app. For instance, it’s headline sponsor, Superdrug, has the immediate opening and closing slots of each ad break during the programme and viewers can see Islander’s using its own-label products, especially the sun cream, which they need copious amounts of. The Love Island App – influencer marketing 2.0? On the flip side, Love Island’s partnership with the clothing brand, Missguided, is more innovative. Each contestant is provided with a Missguided wardrobe. Everything from swimsuits, pyjamas to the going-out outfits (not that they actually ‘go out’, they get dressed up for the forced evening mingling in the villa). 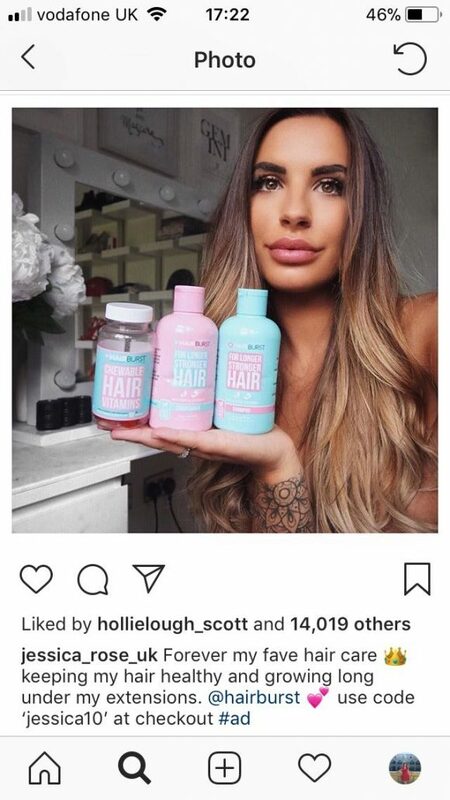 It’s a classic bit of product placement combined with influencer marketing. I think we can all agree that each contender has the beginnings of an influencer career – just look at Jessica Rose from series three of the reboot, engaged to Dom Lever (another contestant – they actually met on the show) with 1.1 million Instagram followers. But the interesting bit in this partnership between Missguided and Love Island is the combination of the clothing appearing in the show and the Love Island app. Here the sponsors are deliberately making use of the dual screening trend. Viewers can only vote for their favourite couple through the app to stop them being dumped (literally, dumped from the show) rather than texting in or using a phone line, forcing people to download the app to their phones, if they wish to participate in show decisions. So, whilst you watch Love Island, phone in hand, with the islanders in their colourful swimwear, programmers have given viewers the ability to directly shop the hopefuls’ outfits from Missguided. Each outfit is presented ready for purchase in-app. In fact, the app has offered other sponsorship opportunities. 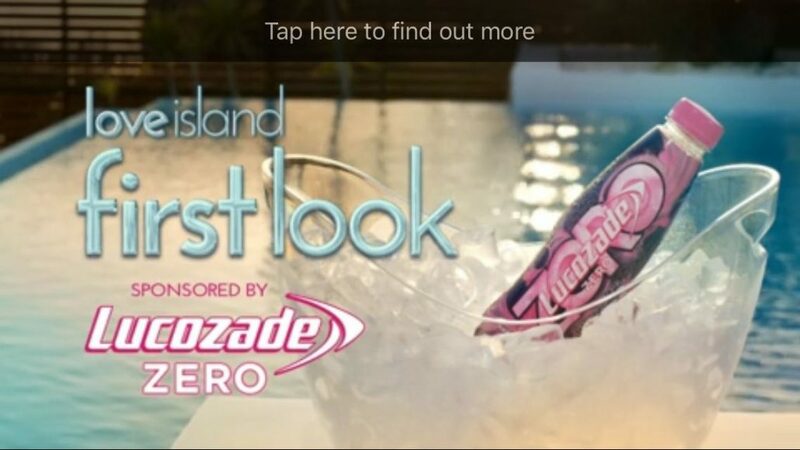 Lucozade Zero’s Pink Lemonade sponsors the daily three-minute show preview which always plays on the app first before being uploaded to Youtube and other social sites. There’s another blog post to write about the ethics of promoting a diet drink to viewers whilst watching a show filled with model contestants. But, even the Lucozade bottle’s packaging fits the pale pink and baby blue colour scheme of Love Island – it’s quite instagrammable. Lastly, I have to mention the Ministry of Sound (MOS) partnership, where they teamed up with Love Island to release the official ‘Ministry of Sound & Love Island Present The Pool Party’ box set. So now you can recreate the villa experience at home. Throughout the party there was an album cover branded DJ booth, Ministry of Sound branded cushions, pool floats, fans, sunglasses and balloons all around the villa. Plus, international DJ, Tom Zanetti, played an exclusive set for the islanders using tracks from the new album. Cue much grinding and twerking. Posts were made on Facebook during the live segment featuring the DJ party, again playing to the dual screening phenomenon. Let’s face it if you have the app, it’s likely you’ll also be following the show on social media, so even if you didn’t see the contextually placed advert of the album in the ad break, you’d later see the Facebook ad on your phone. For brands, Superdrug, Missguided, Lucozade and Ministry of Sound, partnering with Love Island is bang on the money, as they want to reach their target demographic, 16 – 24 year olds. It is as the ITV Media website says ‘becoming the place’ for this age bracket. It’s true that fans that watch the show are maybe more engaged than other traditional reality TV show audiences. People who watch Britain’s Got Talent can select their own gold buzzer in-app and tweet opinions with the hashtag, but they don’t have so many ways to really get as involved in the show. There’s also an official Love Island podcast, ‘Love Island – The morning after’, sponsored by Kellogg’s Corn Flakes (which is available in-app); you could enjoy an Echo Fall’s co-branded bottle of rose; or purchase official merchandise through Primark; or lastly the Rimmel transfer tattoos featured in the show in Superdrug. Doing a quick poll, amongst our two female staff members (both within the target age demographic), both had nearly succumbed to purchasing items in-app from Missguided. Both felt that it was partially the clever linkage, the outfits being displayed in real time, combined with the convenience of being able to purchase the item right there, that led to an increased engagement on their parts. So, I think, if we’ve learnt one thing from Love Island. It’s that we can expect to see a lot more TV influencer marketing which abuses our love-hate relationships with our phones and the accompanying apps. If you want some of the influencer marketing action, without burning through your budget, then you drop me an email – jessica@twelvepr.co.uk. I’ll come clean now, I’m a loyal Lush buyer. But that’s not to say I didn’t raise an eyebrow at the launch of their #SpyCops campaign. For many in communications, the campaign was felt to be a high-risk marketing strategy which would have implications for Lush’s reputation. Here we look at how it unfolded and whether there’s anything to be gained by a high-risk strategy? In case it passed you by, Lush’s latest campaign highlighted the undercover police officers who had infiltrated activist groups and formed intimate, deceptive relationships with some of their members. Some relationships lasted, had kids, only for one parent to later vanish when the operation closed. Lush had posters, fake police tape and slogans ‘paid to lie’ and ‘police crossed the line’ splashed across their windows and collaborated on its campaign with charities ‘Police Spies Out of Lives’ and ‘Campaign Opposing Police Surveillance’. The home secretary, Sajid Javid, was not pleased: “Never thought I would see a mainstream British retailer running a public advertising campaign against our hardworking police,” he tweeted. Social media lit up with Facebook users placing over 30,000 one-star reviews on its page. Bloggers and influencers also felt the campaign had too many mixed messages. “I feel it is wrong that they have used an image of a regular serving police officer on the streets. It gives the impression that all police officers are bad and corrupt, and that is certainly not the case,’ says blogger, Sarah, from Beauty Addict. When we plan communication and PR campaigns, there’s always a set objective. For Lush one of those objectives was to shine a light on the immoral tactics of undercover policing. Yet I felt that this campaign, attempting to align the brand with a social justice movement, distracts consumers. As Mark Ritson comments in his column in Marketing Week, ‘everyday talking about undercover policing methods in the eighties is another day not talking about the brand and how it makes you feel. 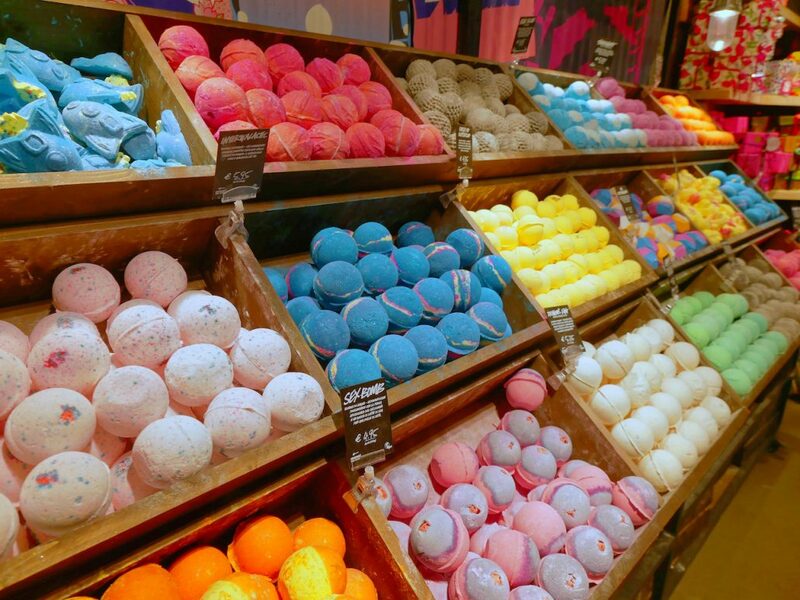 Brands, like Lush, already have to contend with finite marketing budgets and battle for constrained consumer attention in a crowded marketplace. The consumer furore and confusion about Lush’s campaign was picked up by national press and broadcast, but only then did the ‘spy cops’ message come through, bringing it to the forefront of the public psyche. This was a high-risk strategy for Lush with implications for its reputation. Yet, however you look at it, or whether you feel brands like Lush should even champion social causes, one campaign objective was met – shine the spotlight on unethical activities carried out by undercover policing. What British shoppers, consumers, bloggers and influencers now think and feel about Lush is another thing entirely, but sales were up 13 per cent in the immediate days after the campaign posters went up[i]. [i] ‘How the lush founders went from bath bombs to the spy cops row’, Emine Saner, The Guardian, Wed 20 June 2018.